Our embroidery club has grown thru the year with many new members. We have made lots of fun projects and learned so much to add to our sewing/quilting/embroidery skills. This is our October 6, 2018 project. We are making plans for next year. 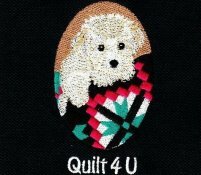 If you have an embroidery machine and would like to join us in 2019, please e-mail us at info@quilt4u and we will add you to our 2019 Embroidery Club mailing list. 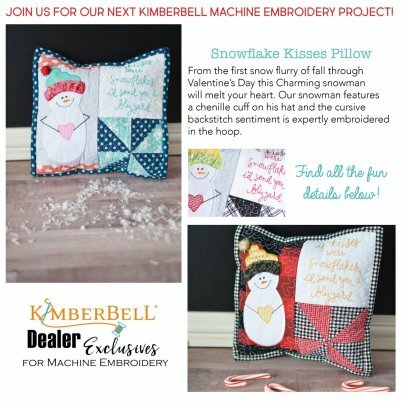 Our Embroidery Club will be making the Snowflake Kisses Pillow at our November meeting. 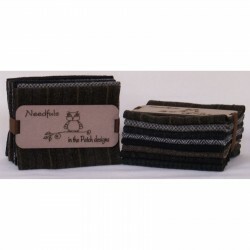 Woolie's Flannel 1 yard cuts (7 pieces) from their classic collection. 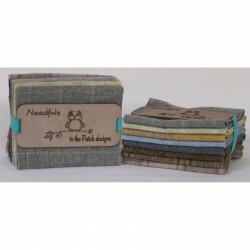 We will also soon receive their Woodsy and Gemstone collections of 1 yard cuts too. We have received additional colors of wool from "In the Patch" designs of their Needfuls. 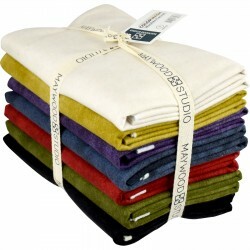 These are pretty bundles of fully felted, mill-dyed wools. (8) each of 6" x 13". Collections might vary slightly. Limited Edition! Sixteen small projects from table runners to wall-hangings that evoke the seasons and the holidays. The projects use the Quick Curve Ruler Mini to make a one size pieced curve block. The one size one curve block is the basis of each of the sixteen quilts that look so complex but are amazingly simple. We anticipate having a class next year making "Freedom's Flag" and "Giving Tree". 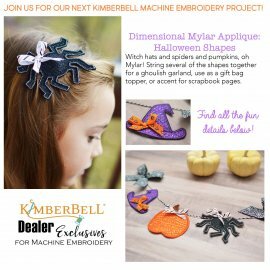 Great projects for the 4th of July and Christmas next year. We look for books that appear to have several projects that would appeal to our Quilt 4 U quilter's to ensure that you get good value for your purchase. We believe this book fits that goal! If you would be interested in either of these classes next year, please let us know and we will add you to our contact list. This will be a future class on Sat. Nov. 10th following our club meeting. 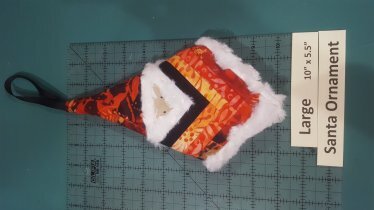 Carol will provide you with a paper piecing pattern to make the large santa ornament shown in the photo above and also the pattern for two smaller ornaments. These would look cute on your tree or your holiday packages. Bettina Havig's next class at Quilt 4 U is Saturday September 22nd. The class is "Let's Play Dolls". Class fee $20.00. Additional information is on the website and will be shared at our club meeting on Saturday. What a wonderful world! ©Dan Morris for QT features a journey of prints across the globe in his signature styling. Beautifully detailed and sophisticated in color, these designs will inspire fantastic projects for the explorer in all of us. All aboard, take flight and set sail for this "Wanderlust" collection. My mother pieced a t-shirt quilt for my brother. The shirts were from countries he and my sister Pam visited during their many travels (Russia, VietNam, Spain, Africa etc.) They had a great time traveling together and even took my daughter Jennifer to Spain and Africa after she took Spanish in High School. It was a trip of a lifetime for her too! I finished quilting it and mom is now putting the binding on it. We used the travel toss fabric for the backing. This fabric would also make cute travel pillows or bags.